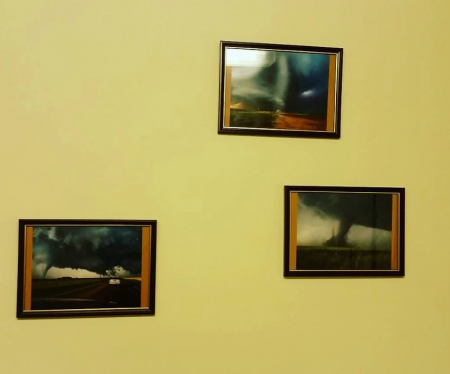 One of the highlights this week was a giving a presentation at my old primary school about storm chasing and convective weather. A very brief video was compiled for them and I explained how storms work. It was great fun and the students asked some fantastic questions. I also donated three photographs to their new library - it is very strange to see some of my images framed and on show somewhere other than online or in my flat! 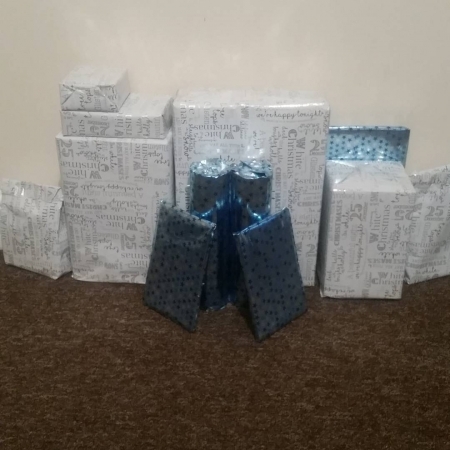 The Christmas presents wrapped so far...what do they contain?? ?